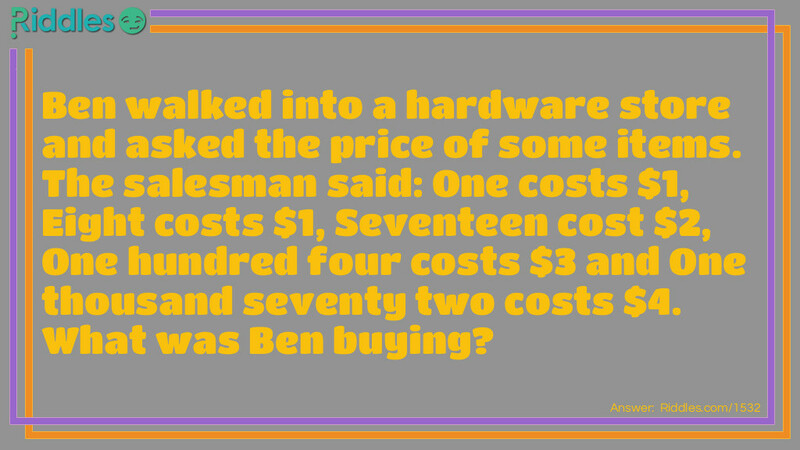 Ben walked into a hardware store and asked the price of some items. The salesman said: One costs $1, Eight costs $1, Seventeen cost $2, One hundred four costs $3 and One thousand seventy two costs $4. What was Ben buying? Ben was buying home address numbers and they cost $1 per digit. 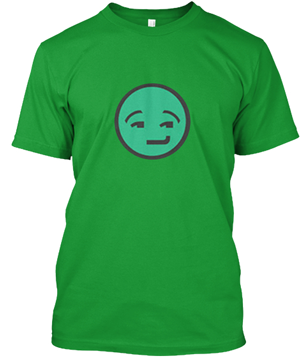 What is Ben Buying Riddle Meme with riddle and answer page link.